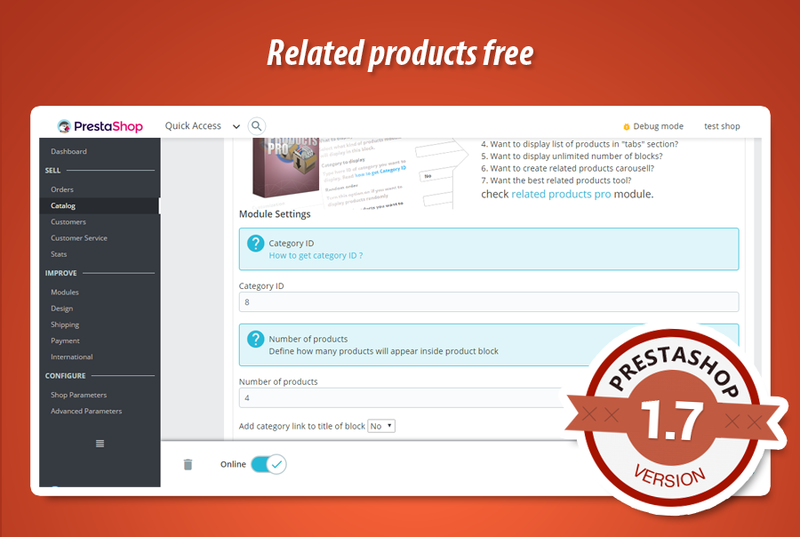 Free related products module for PrestaShop. 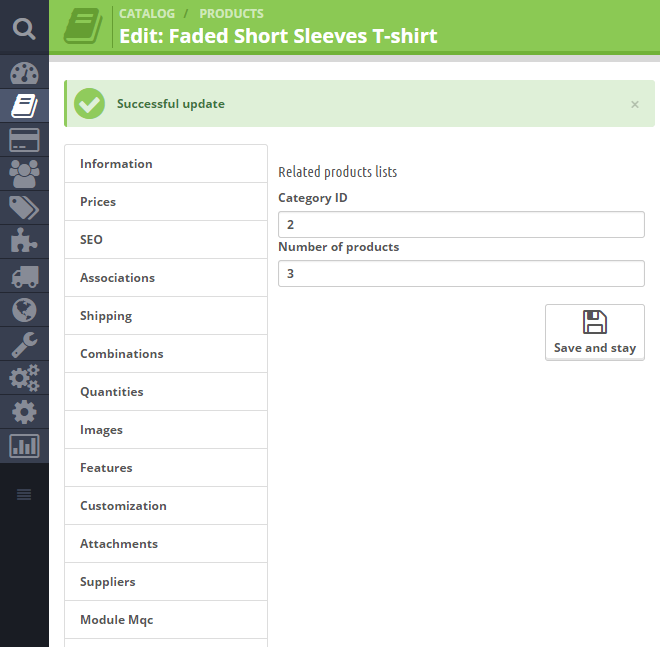 This addon allows to display custom product list on each product page in your shop. Your products can have different "realted products" block. Free version of the module allows to define appearance of products from selected custom category. 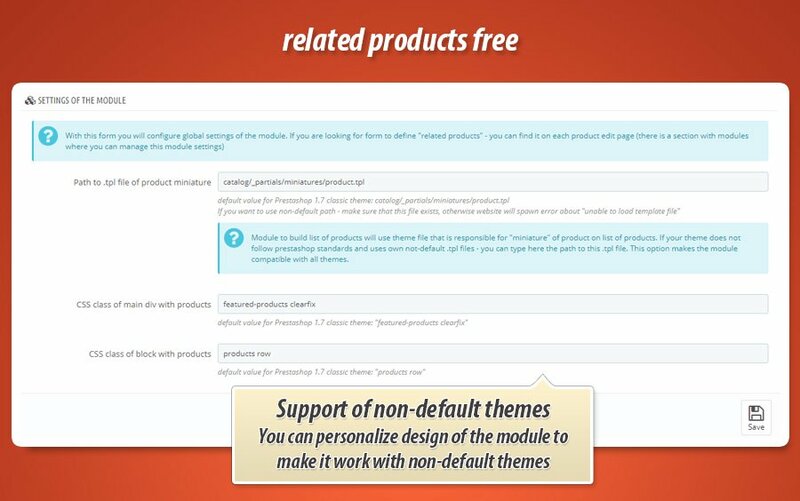 This is totally free module to display related products on your product pages. 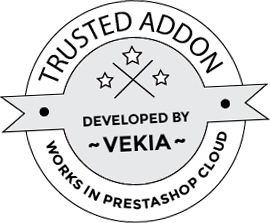 The most important feature of this module is fact that each product in your shop can have own "related products" list. In this list you can display products from selected category. This Free PrestaShop Addon works also with PrestaShop Cloud. As a shop owner you can display block with "related products" on each product page in your shop. You can also decide where block will appear and where it will not be visible. 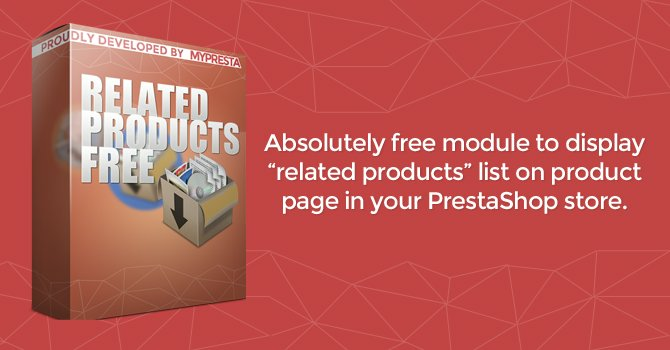 Free version of this module allows to define category from which product will display products and how many products module will show.